Sephardic Jews in India are European Jews who settled in southwest India, in Goa, Madras (now Chennai) and, primarily and for the longest period, on the Malabar coast, after having left the Iberian peninsula at the end of the 15th century and throughout the 16th century, in search of religious freedom due to the Spanish Inquisition in both Spain and Portugal. In Iberia, they spoke the vernacular language of their kingdom (basically Castillian i.e. Spanish-Portuguese or Catalan) and some of them also Arabic. After several generations out of Spain, especially in the Ottoman Empire, their Spanish became a distinctive dialect that combined archaisms and loan words from Turkish, Greek and Slavic languages, besides some Italian and French. Most of the Sephardic Jews who came to India were from Portugal and their communities are found in and around the former Portuguese dominions and territories in India. The first Portuguese Jews to arrive in India were sailors. Portuguese were able mariners and Sephardic Jews were essential in helping navigate the waters of India. As K. M. Mathew documents, Jews such as Abraham Zacuto, Pedro Nunes, Joao Baptista Lavanha, and Duarte Gomes de Solis were instrumental in charting the waters along the Indian coast. Some crypto-Jews came with the Portuguese colonialists who were taking territorial possessions and expanding into the East, which was given to the Portuguese through the Treaty of Tordesillas. The Treaty of Tordesillas, authorized by Pope Alexander VI gave Portugal the right to found colonies in the Eastern Hemisphere (Spain was given the West). 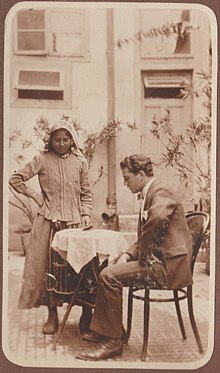 Thus, as Professor Walter Fischel, the now deceased Chair of the Department of Near Eastern History at the University of California - Berkeley, explains, the Portuguese were able to use the crypto-Jews in Goa and elsewhere in their Indian and Asian possessions as "letter-carriers, translators, agents, etc." The ability of the Sephardic Jews and anusim to speak Arabic made them vital to Portuguese colonial ambitions in the East, where they could interact and conduct diplomatic and trade missions in the courts of the Mughal Empire and the surrounding Muslim and Hindu states. India attracted Sephardic Jews and anusim for a few reasons. In his lecture at the Library of Congress, Professor Sanjay Subrahmanyam, Chair in Social Sciences at University of California, Los Angeles, explains that crypto-Jews were especially attracted to India because not only was it a center of trade, but India had established and ancient Jewish settlements along its Western coast. The presence of these communities meant that crypto-Jews, who had been forced to accept Catholicism, could operate within the Portuguese Empire but away from the Inquisition, and, if they wished, the crypto-Jews were able to contact the Jews in these communities and re-adopt the faith of their fathers. A notable Jewish population once existed in the Portuguese colony of Goa. These Jews were of the Bene Israel community who had arrived in India centuries earlier. They had their own synagogues and enjoyed freedom. They had been settled in Goa before the Portuguese arrived. Many of them integrated with the local Goan culture and spoke the Konkani language. When the Portuguese took control over Goa, Jews and crypto-Jews from Portugal joined this community. The strong presence of Sephardic Jews from Iberia and local Indian Jews as well as crypto-Jews in this region was the primary justification for the Portuguese to institute the Goa Inquisition in 1560 – this was 24 years after the Portuguese Inquisition was instituted in Portugal. The famed Sephardic physician Garcia de Orta belonged to this community. There remains an enduring element of crypto-Judaism among various Catholic and Christian communities along the Western coast of India which is a testament to the influence that Sephardic, Indian, and crypto-Jews had in this region. The subject is one of on-going research by academics. In Kerala they learned Judeo-Malayalam, the dialect developed by the Malabar Jews, descendants of immigrants who had been there for more than 1,000 years from Israel and Yemen. The combined groups in Kerala became known as the Cochin Jews. The European Jews were also referred to as the Paradesi Jews (associated with foreigners) or White Jews, given their European ethnicity. The Malabar Jews, having intermarried in south India, had darker skin. In addition, some settled in Madras, now known as Chennai Jews, they worked with the English East India Company in Fort St. George. 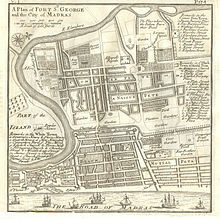 According to the famed Sephardic poet Daniel Levy de Barrios, during his lifetime Madras was one of the six main areas of Sephardic Jewish settlement in the English empire. By the late 18th century, they had mostly shifted their trading companies to London, and the Jewish community in Madras declined. The Portuguese extended the Inquisition to their Indian possessions in 1560. The presence of the Jews and crypto-Jews of India, along with their ability of the crypto-Jews to join with Jewish communities in India alarmed the Portuguese Catholic leadership in India. The Inquisition was begun at the behest of Gaspar Jorge de Leao Pereira who was the first archbishop of Goa and author of the contra os Judeos (tracts against the Jews). More than 16,000 people were put on trial between 1560-1774. The majority of the records are presumed destroyed. The figure of 16,000 is based on the records which did survive. In the first 30 years of the Inquisition 321 people were brought to trial on the charge of crypto-Judaism. The targets of the Inquisition were not Jews but rather Crypto-Jews, who had publicly become Christian (often under duress) but kept Judaic practices in secret. Many Jews from Portuguese Goa fled to Bombay, and Portuguese Cochin in Kerala where they joined the Malabar Yehudan. In Kerala, the Malabar Jews and the Malabar Nasranis of Judeo-Christian heritage were also persecuted by the Portuguese as part of the Goa Inquisition. The coming of the Dutch rule beginning in 1663 eased the pressure on the community in India. Additionally, the later Baghdadi Jews who arrived in India, such as the Sassoon family, were of Sephardic origin having come from the lands of Arabia and Central Asia. ^ Mathew, K. M. (1988-01-01). History of the Portuguese Navigation in India, 1497-1600. Mittal Publications. pp. 34–38. ISBN 9788170990468. ^ Limor, Ora; Stroumsa, Guy G. (1996-01-01). Contra Iudaeos: Ancient and Medieval Polemics Between Christians and Jews. Mohr Siebeck. ISBN 9783161464829. ^ Donald F. Lach, Edwin J. Van Kley (1993). Asia in the Making of Europe, Volume III: A Century of Advance. Book 2, South Asia, Volume 3. Chicago: University of Chicago Press. p. 847. ISBN 978-0-226-46754-2. ^ Wojciehowski, Hannah Chapelle (2011-08-22). Group Identity in the Renaissance World. Cambridge University Press. p. 216. ISBN 9781107003606. ^ Parasuram, T.V. (1982). India's Jewish heritage. the University of Michigan: Sagar Publications. p. 67.